Do you remember the first time you ever wrote code? My friend convinced me to go to a two day program during my sophomore year of high school. During those two days, I chose to learn about the Internet of Things because it really stood out to me, but I didn’t really like it because it wasn’t something that was easily understandable for me at the time. 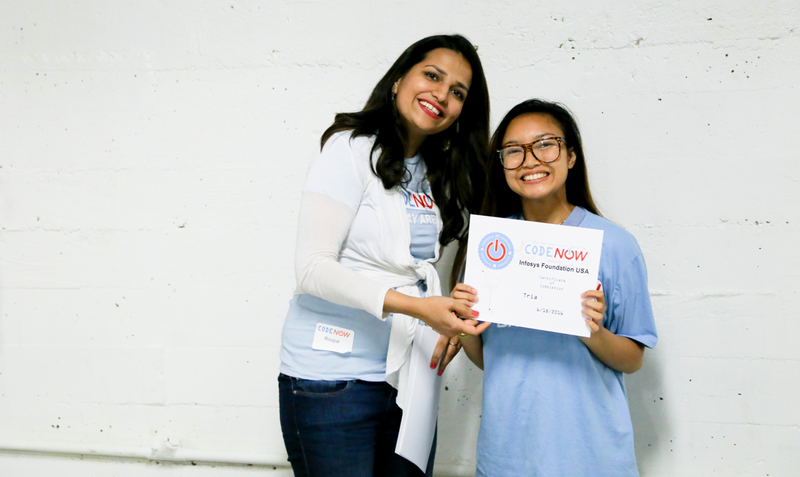 At that point, I didn’t think that I would ever do computer programming again, but then I did CodeNow and that was when I really got started. Why did you decide to give programming another chance?? I found out about CodeNow through my school. I got my acceptance into the workshop on my birthday, so I thought that maybe this is a sign and I should try coding again. Luckily, I really enjoyed it and went on to realize that maybe Ruby is what I should do. What made the biggest impact on you during the workshop? I remember feeling really relieved when I finished one of the projects. I thought to myself, ‘this is how software engineers must feel when they complete a coding project.’ It was really enlightening, being able to finish and actually understand the whys and the hows of my own code. How has the workshop changed your attitude towards technology? What I have realized is that you don’t have to follow one formula to solve a problem. I used to think that just because the way that I approached a problem was different from how others may have approached it, I must be wrong. I would change my answer and erase everything. But now, it is almost as if I am learning to create my own language, and that’s ok.
What have you been up to since CodeNow? 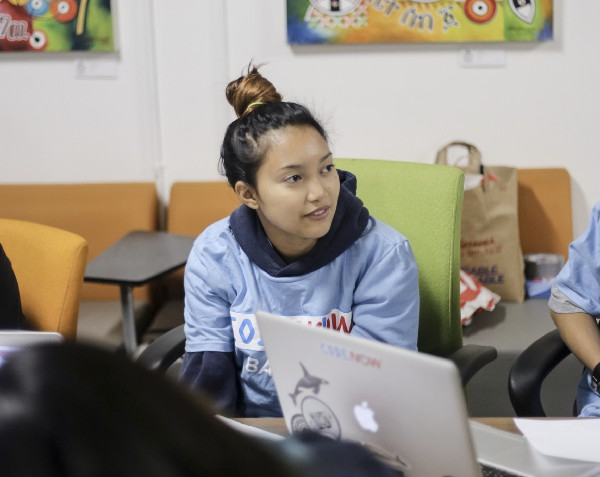 Since the last workshop, I have been doing a lot of work with Teen Tech SF . I have also established my own student organization that focuses on elementary school students. I have noticed that there aren’t a lot of programs out there that mixes grade levels. With my organization, we teach 3rd and 4th graders about CS by teaching them how to code. But the main difference with us is that the high schoolers teach, while the middle schoolers help. This way, high schoolers can improve their leadership skills while performing a community service, and middle schoolers get to do something new. What advice would you give someone interested in programming? Don’t let the first impression affect your perception. There are a lot of ways to experience computer programming and your first experience may not be the best. Keep trying because it’s a great skill to have! 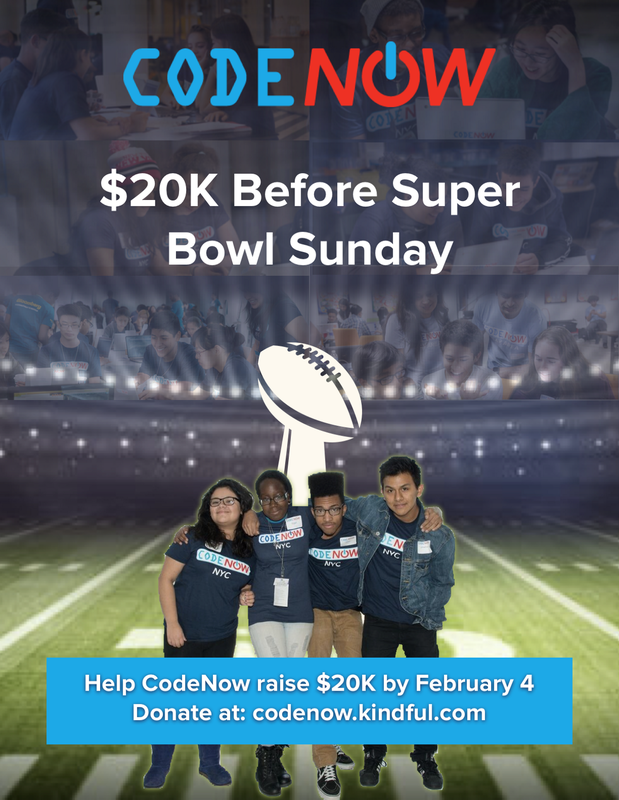 CodeNow would not exist without individual contributions from people like you. Whether it’s $10, $100, or $1,000, every dollar helps a student get introduced to the world of technology.